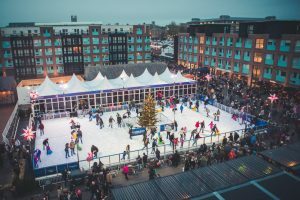 With over 13 years experience within the ice rink hire industry, working alongside councils, bid organisations, and private businesses, Christmas Ice Rinks is the number one choice for all ice rink requirements. Whether you are looking to hire an ice rink for a Christmas event, TV advertisement, or any other special occasion – all year round – our fully equipped rinks will provide fun for all ages and help create memories for everyone that visits your attraction. Using our quality, trusted suppliers, we can project manage a Christmas ice rink from conception through to execution. Consequently, this helps to take away the hassle of planning permission, build planning, and full rink management. Take a look at some of the ice rinks that we have installed for our clients at our gallery. In addition, take a look at our case studies from projects that we completed at Warwick Castle, Gloucester and Derby. 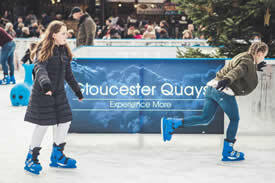 Speak to our experienced team today on 01789 298040 regarding your Christmas ice rink hire requirements . Furthermore, you can email us at [email protected].